Bradenton – Did you know, our government has stringent rules how to get the really good priced foreclosures? Sea to Sky Realty through its sister company Sea to Sky Investments is representing buyers and investors in many HUD REO transactions in Florida. HUD stands for “U.S. Department of Housing and Urban Development”. Only about 5% of all brokerages nationwide are actively registered with HUD. This means your broker or agent might not even be able to show these listings to you. They also cannot submit an offer on your behalf. 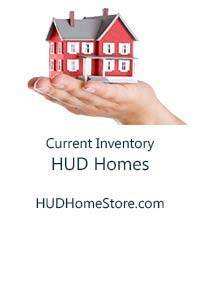 HUD requires brokerages and agents to be registered with HUD and keep their NAID in an active status. Since HUD carries certain restrictions, buyers have to follow stringent guidelines to successfully bid on HUD properties. The good news is, Sea to Sky Investments is one of the few Real Estate Companies in Bradenton, Sarasota and Anna Maria Island to carry the certification for HUD REO properties. We are here to represent buyers with HUD. If you are interested in buying REO properties from HUD or any other seller, please contact us for more information. Interested in Buying a bank owned property? Contact us today!